Plot: Three women find out they are being cheated on by the same guy and, together, they plan their revenge. This is one of those movies that is marketed as a comedy, but all of the funny stuff is put into the trailer. The actual movie is a fairly boring revenge flick with poor editing (you can see several places where the movie was over dubbed and they didn't bother to fix it), and a completely predictable plot. This movie is entirely forgettable. In fact, this movie was so boring and forgettable that, even though I saw it in a fairly crowded theater, I only heard a few people laugh just a couple of times and during one particularly boring scene I looked around and most of the people were talking with each other, not paying attention to the movie at all. If you want to see a funny girl movie save your money and wait for MOM'S NIGHT OUT (it comes out in 2 weeks). Plot: An undercover cop and an ex-con must work together to bring down a crime lord overseeing a walled-in section of Detroit. 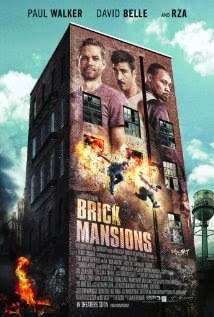 BRICK MANSIONS is the last film that Paul Walker worked on in its entirety. Unfortunately it is one of the lamest action movies I've seen in a long time. It is completely cliche and predictable and the dialogue is laughable. I will say that there are some pretty good fight scenes and some cool parkour, but it's not worth spending $10 to see that. 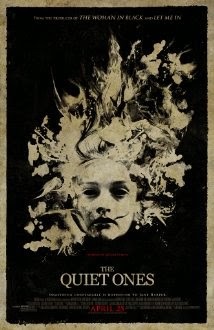 Plot: A professor and his students perform experiments on a strange woman and the results are supernatural. If you want to see a good horror flick in theaters this weekend, go see OCULUS instead.